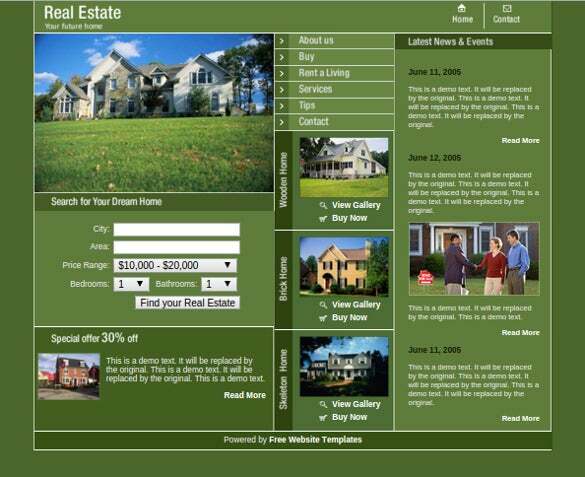 Realtor templates are used to design real estate web templates. 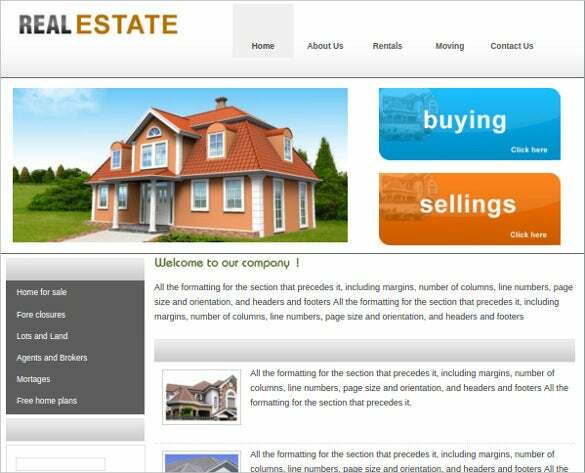 These templates are also designed as perfect basework for websites related to home staging, mortgaging, land brokerage and other related activities. 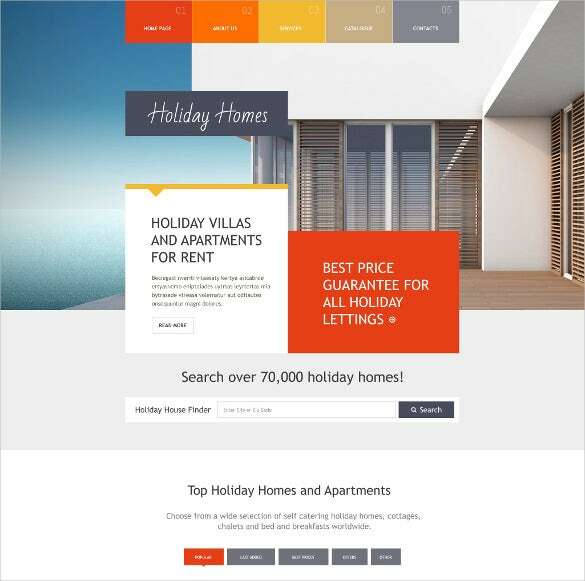 Most of the templates could be customized according to your tastes. 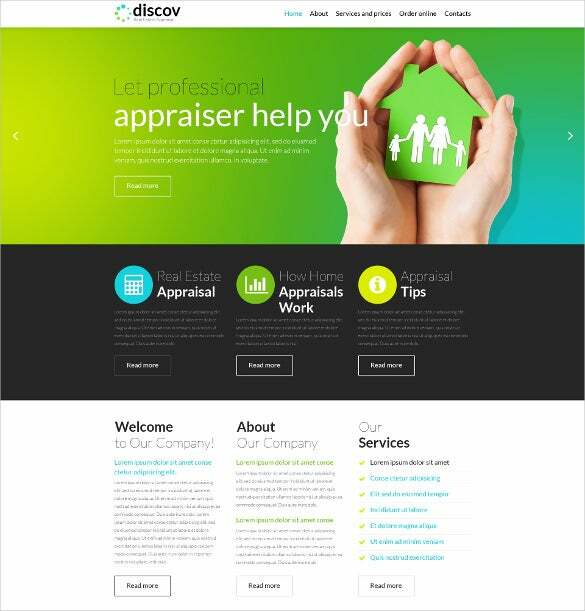 For the ease of access and to appeal to mobile users, these templates are designed with a responsive layout. 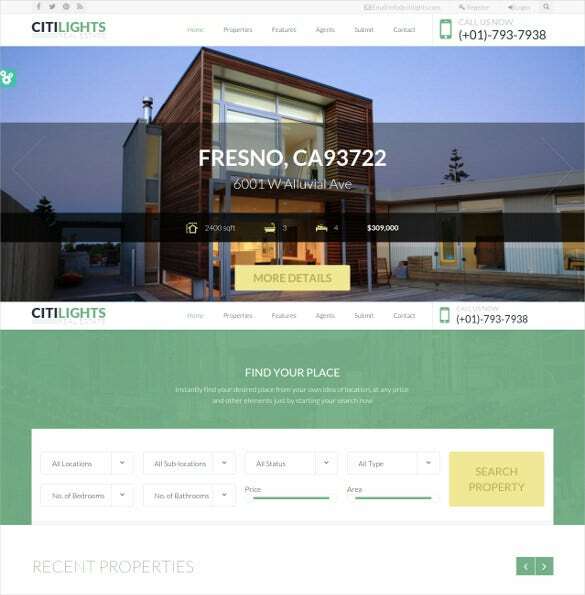 You can also see Real Estate Website Themes. 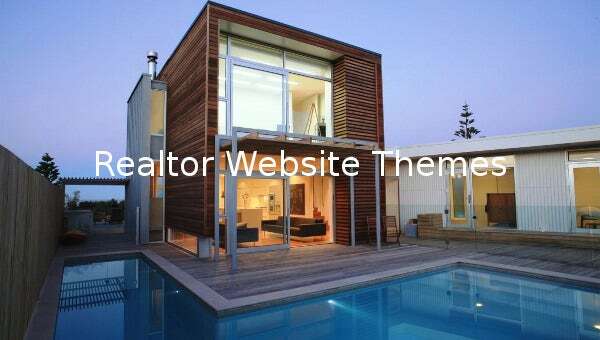 This is a very practical theme where you have huge banner dominating a fair share of the site for good advertisement. 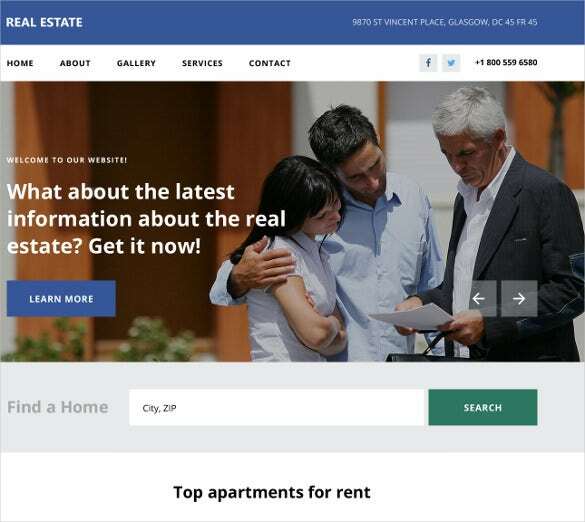 You have the menu bar and social media buttons at the top and the search bar sits at the bottom. 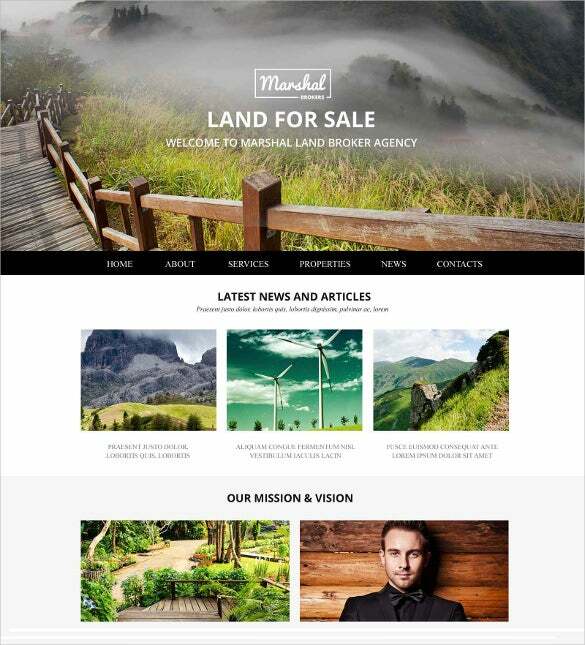 It’s a responsive theme with stick-to-top menu facility and will offer you 7-15 high resolution photos. 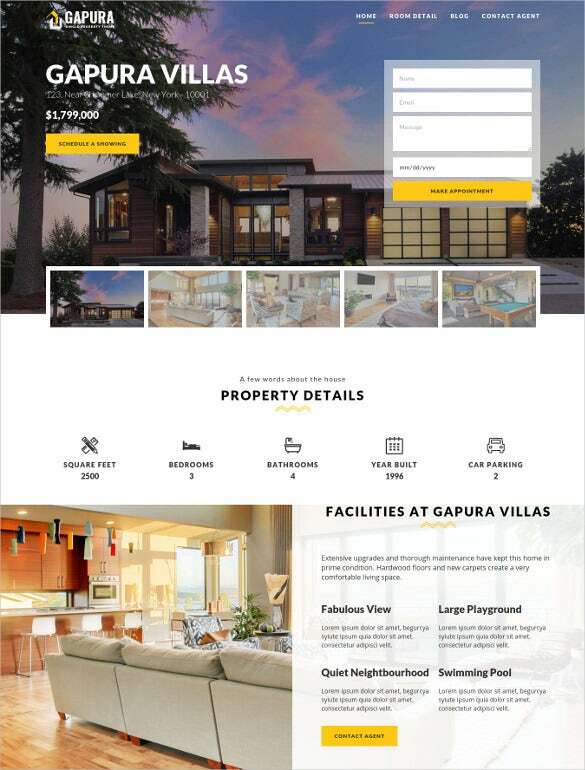 This theme here has come up with road map for the banner and the banner also includes property search bar for user convenience. 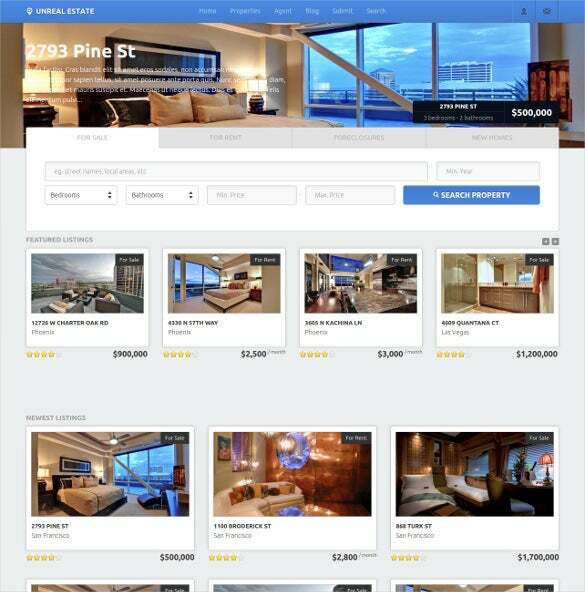 The space below can be extensively used to list your properties. 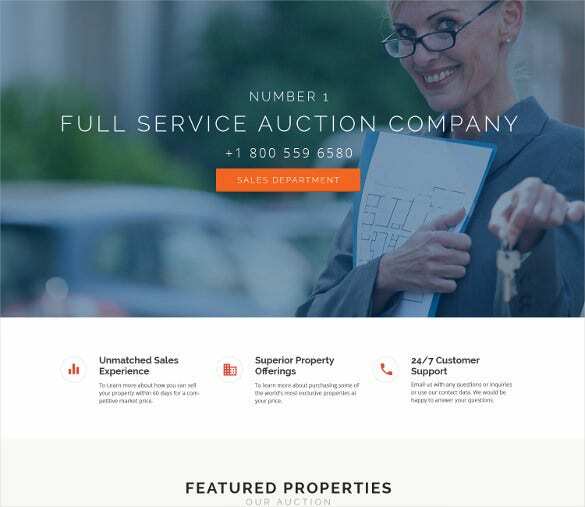 The responsive Real Estate Theme carries the latest version of Bootstrap and there are eight homepage options to choose from. 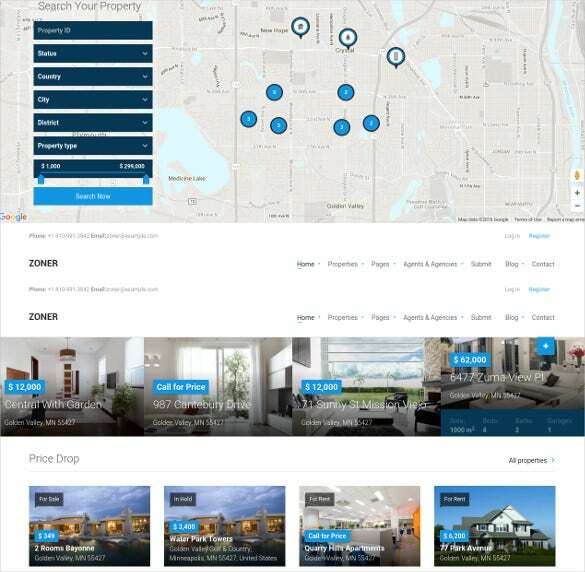 If you are looking for an elaborate realtor theme that will allow you to include different sections, this theme would be great for you – with its space for menu, property search bar, latest news feed and property listings. 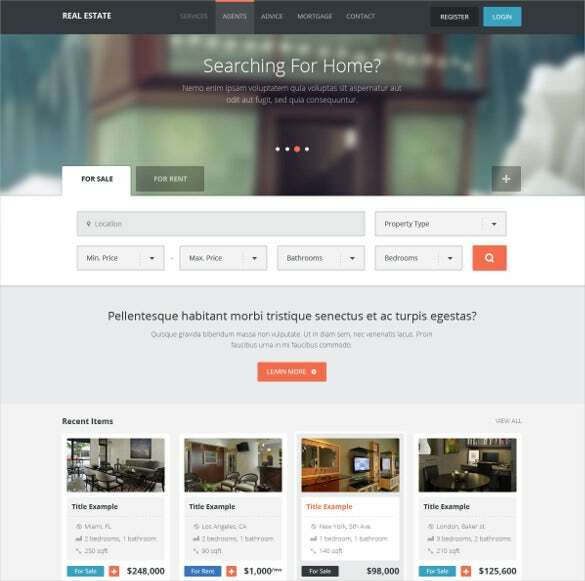 What more, the theme even allows you to include your specials on the homepage. 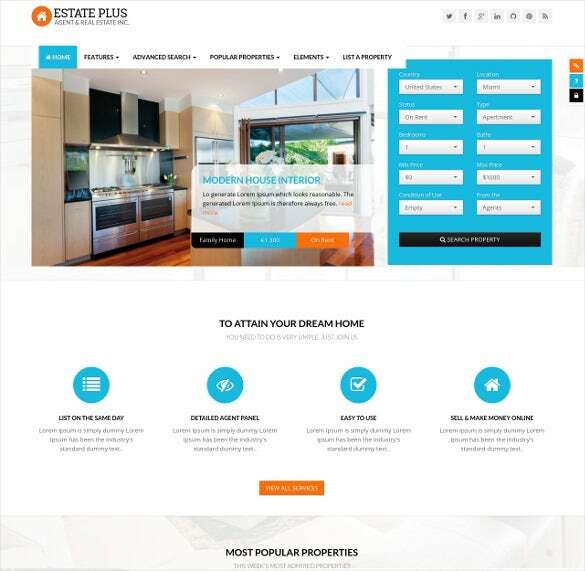 The entire realtor website theme carries a glam urban feel with its huge banner which can be used for optimum advertisement of your best properties. 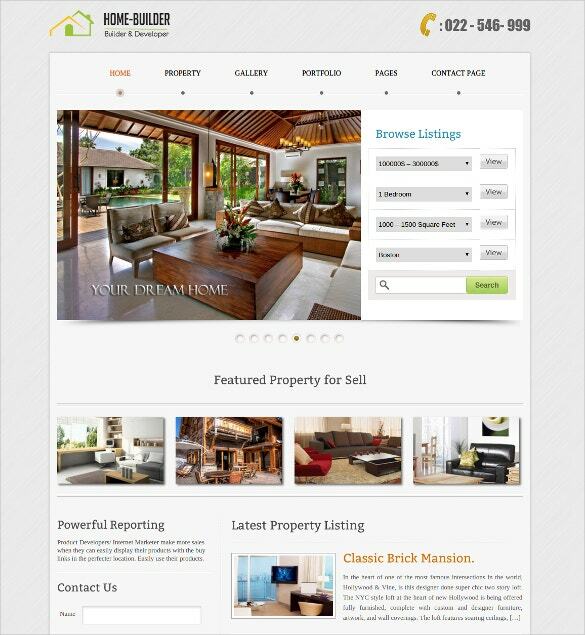 The menu bar sits at the top and you can also include your contact number here. 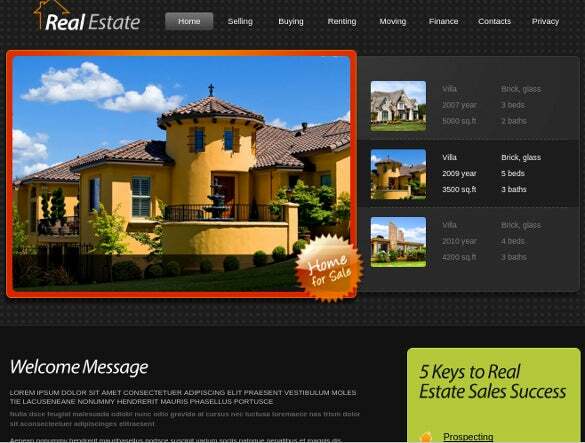 You can even include video at the background and the theme offers 7-15 high resolution stock photos. 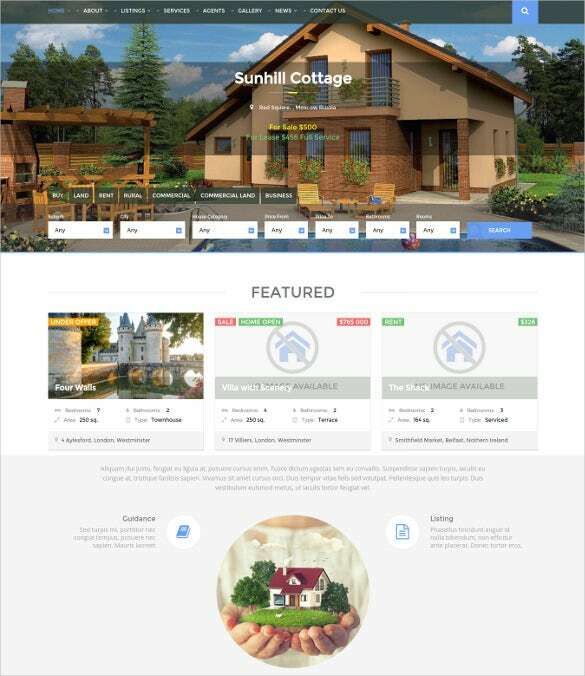 It’s a neatly arranged clean & practical theme where you have all the important elements of a realtor’s site on one page like property search table, banner for advertisement, menu bar, special features of your site & property listing. 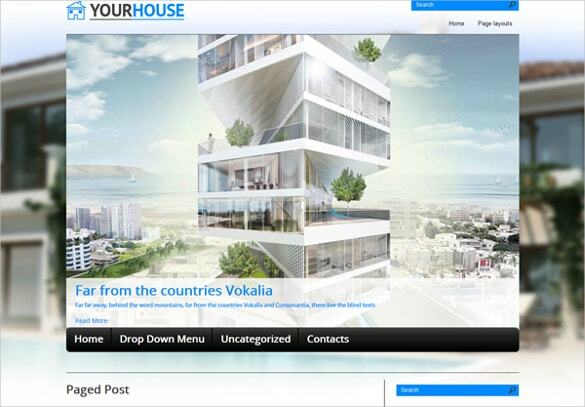 This Responsive theme is retina-ready and comes with unlimited color choices. 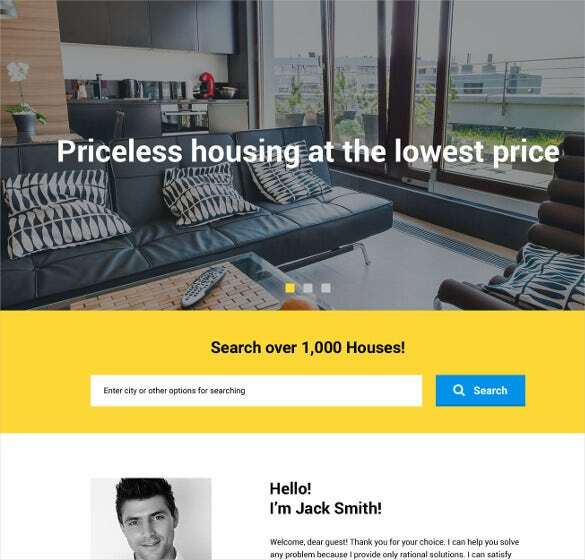 The theme looks smart and fresh with its sizeable banner for flaunting your best property and you will have separate sections for buyers and sellers. 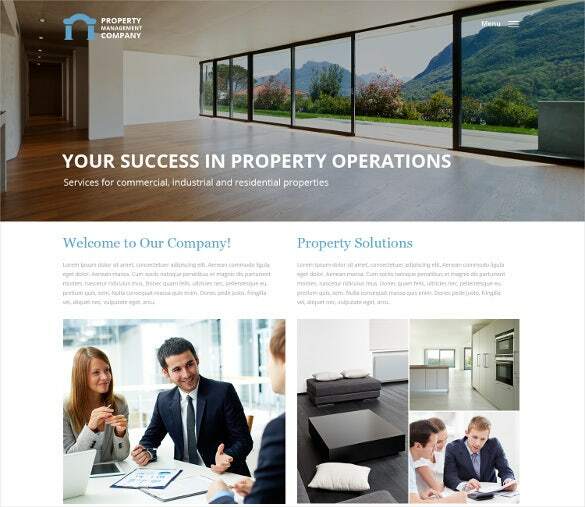 The page will also allow you to present your latest property listing. The menu bar sits at the top while the product category has been placed at the left. 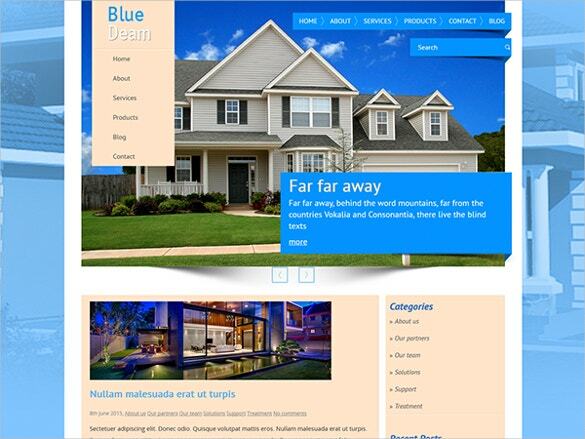 Bootstrap increases the efficiency of your website, with its HTML and CSS components. Sliders help to highlight new products and you could customize the promo slides accordingly. 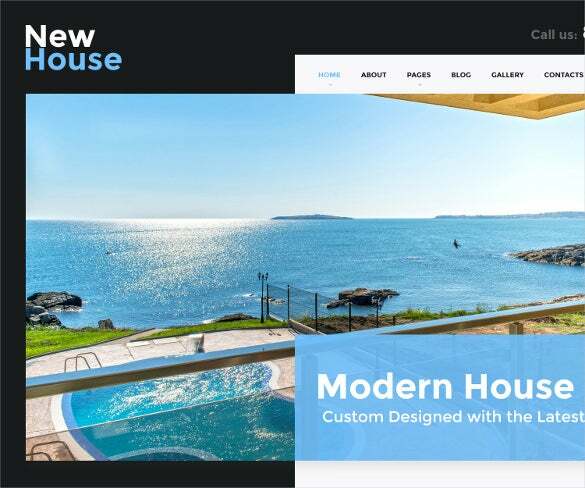 The templates are also enabled with quick navigation keys, pre-loaders, support popular browsers, and are also incorporated with Google web fonts and maps.